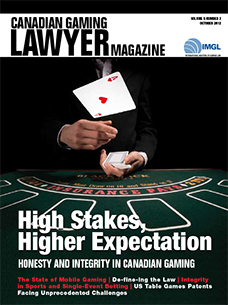 Canadian Gaming Lawyer (CGL) is published each summer and fall for the IMGL by MediaEdge in partnership with the Canadian Gaming Association. 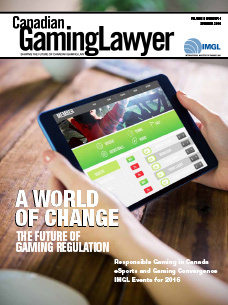 CGL occupies the center section of the summer and fall issues of Canadian Gaming Business, each of which are mailed to over 4,250 gaming industry leaders and decision makers throughout Canada and North America. 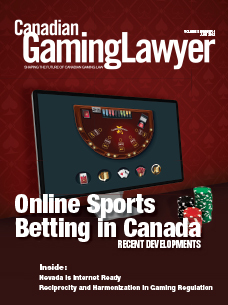 The magazine also has bonus trade show distribution at ICE (London), Canadian Gaming Summit, Global Gaming Expo (Las Vegas), G2E Asia (Macau) and IMGL spring & autumn conferences. 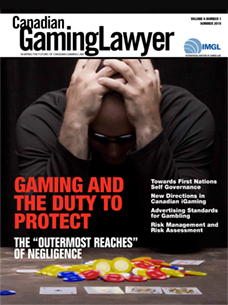 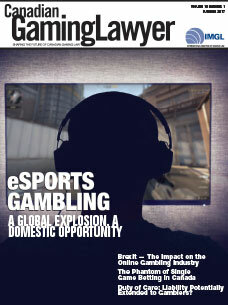 Mailed to all IMGL members, subscribers of Canadian Gaming Business magazine and by request. 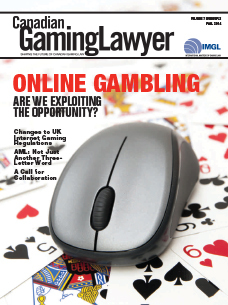 ​Submit articles (that have not previously been published) to Editor Michael Lipton at [email protected]. 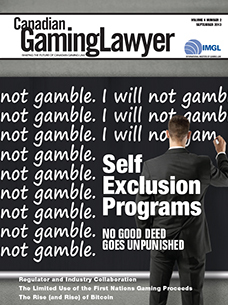 For advertising rates, contact Sue McNabb at [email protected]. 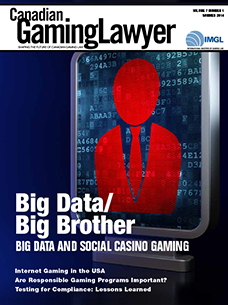 Big Data and Social Casino Gaming - Christine Martin J.D. 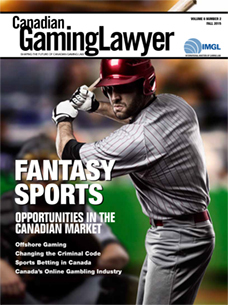 Canadian Gaming Lawyer (CGL) is published each summer and fall for the IMGL by MediaEdge in partnership with the Canadian Gaming Association. 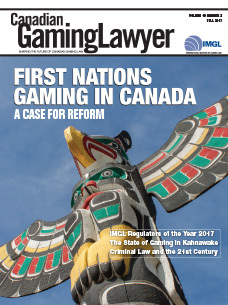 CGL occupies the center section of the summer and fall issues of Canadian Gaming Business, each of which are mailed to over 4,250 gaming industry leaders and decision makers throughout Canada and North America. 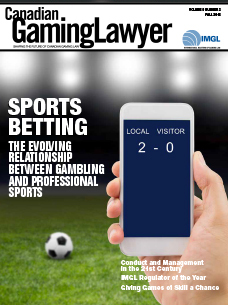 The magazine also has bonus trade show distribution at ICE (London), Canadian Gaming Summit, Global Gaming Expo (Las Vegas), G2E Asia (Macau) and IMGL spring & autumn conferences. 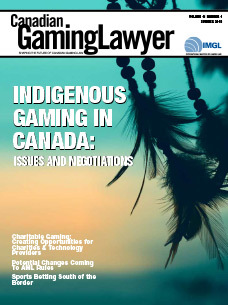 Mailed to all IMGL members, subscribers of Canadian Gaming Business magazine and by request. 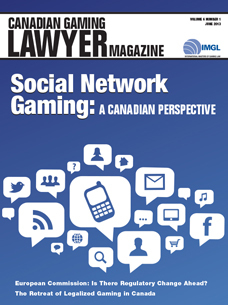 Nevada is Internet Ready - Mark A. Clayton, Esq.